Home » Rustic Fence Blog » What’s the Best Fence for Security? What’s the Best Fence for Security? A beautiful fence can add a lot to a home, but many homeowners get so caught up in design that they tend to overlook the fence’s original and primary purpose: security. While you may not be searching for castle walls to protect your residence, learning a little about the security features in fences can go a long way to bringing you a sense of security. Here’s everything you need to know about the best security fences. 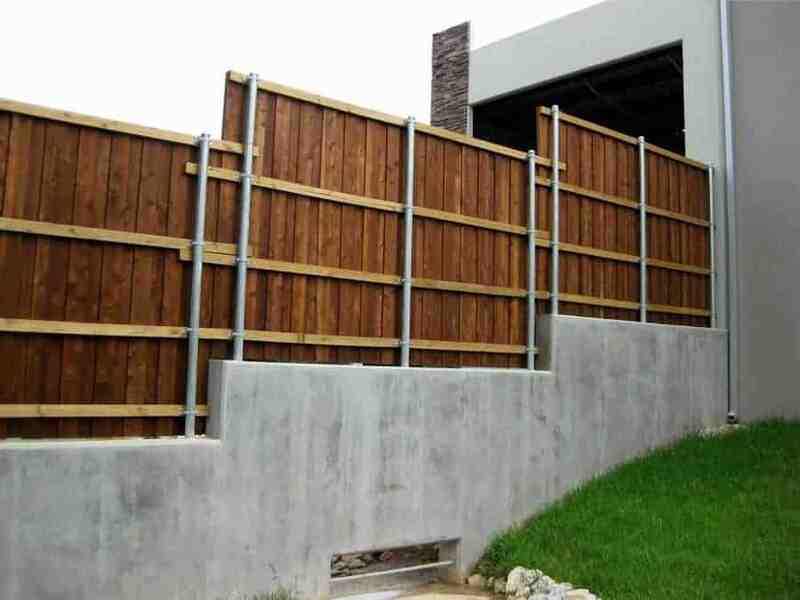 The primary role of a fence in security is to physically obstruct thieves or intruders. While a determined individual can ultimately find a way past most security measures, your goal is to make that process as difficult as reasonably possible. If your home represents too much effort, it serves as a great deterrent. Furthermore, simply having to scale or bypass a fence could buy enough time or bring enough notice to catch a criminal in the act. These are the reasons you want your fence to be as much of a hurdle as possible. The best security fences are at least eight feet tall and completely surround a home or business. There should be no portion that is easy to pass, so all gates need to lock and the fence itself should be resistant to cutting, bending and climbing in general. Even if Homeowner Association Agreements or other factors put limitations on your fence options, adhering as closely to these principals as possible serve your security. Even a short fence that must be scaled can present enough deterrence to protect you. Instinctively, you might think that a tall fence that hides your home from view is the safest option. Surprisingly, the best security comes from see-through fences. As it turns out, many fences provide ample hiding space for would-be wrongdoers. Chain-link fences or other transparent options offer better security because there is nowhere for anyone to hide. With these ideas in mind, these are the best fences to secure your home or business. Iron fences already meet our top requirements. They are incredibly strong and can be made plenty tall for security needs. The iron bars provide ample visibility, and the standard design makes these fences virtually unscalable. They can lock securely, and they require virtually no maintenance. With all of that security, they can still serve the other primary needs of the home. Iron fences are common for their aesthetic quality, and they can even come with softened or rounded tips to protect adventurous kids from preventable injuries. Overall, you can’t find a better blend of beauty and function for a home fence. As the name might imply, security fences are designed for a specific purpose. Made from chain mesh or chain links, these fences also meet all of our defensive criteria. They raise security a notch by sending a clearly visible message that intruders are not welcome here. While these fences can be custom designed, they often sacrifice architectural beauty for the sake of creating an intimidating aesthetic that sends criminals the other direction.